Each year, the NYC Department of Sanitation releases borough-based snow preparedness plans that you can follow to prepare for winter. From snow to sleet to icy sidewalks, DSNY has a plan to keep streets and sidewalks clear during the cold season ahead. Plus, read on for how the Union Square Partnership supplements the City's efforts to prepare our streets for winter. Wondering when the Department of Sanitation is going to clear your street? Follow GPS-equipped salt spreaders and snow plows as they progress through your neighborhood. Use PlowNYC to learn the last time your streets were cleared and when they are next scheduled to be cleared again. Feeling like you want to lend a hand? Sign up to be a Snow Laborer. DSNY hires temporary laborers to assist after very heavy snow falls. Follow DSNY on social media for real-time updates all winter long. Stay up to date on how winter weather will impact your commute! Check out the MTA’s Winter Weather Travel Guide for information on changes to transit services including subways, buses, LIRR, Metro-North, Staten Island Railway, Access-A-Ride, bridge and tunnel closures, and more. USP Clean Team: Our Clean Team, contracted through Streetplus, supplements the City's snow clearing efforts by removing snow from crosswalks, catch basins and around fire hydrants. These efforts are spearheaded by our tireless Operations Director Tom DiRusso, Operations Manager McLawrence Glynn, and Clean Team Supervisor Mamdou Ndiaye. Business + Property Owners: Property owners and merchants are required to remove snow from in front of their properties. The path must be at least 4' wide, to allow for pedestrian flow and safety. Additionally, please keep trash inside and off sidewalks until snow removal operations have been completed. 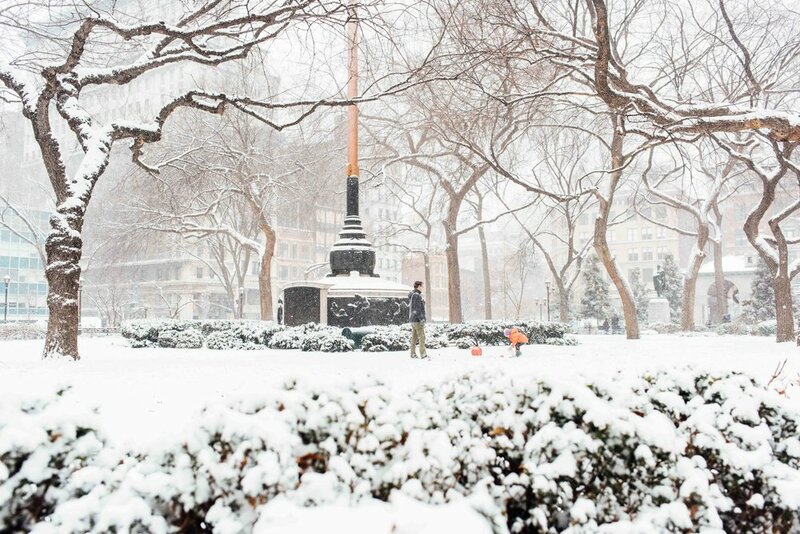 Union Square Park: Stay out of Union Square Park in the snow while the NYC Parks Department clears pathways. 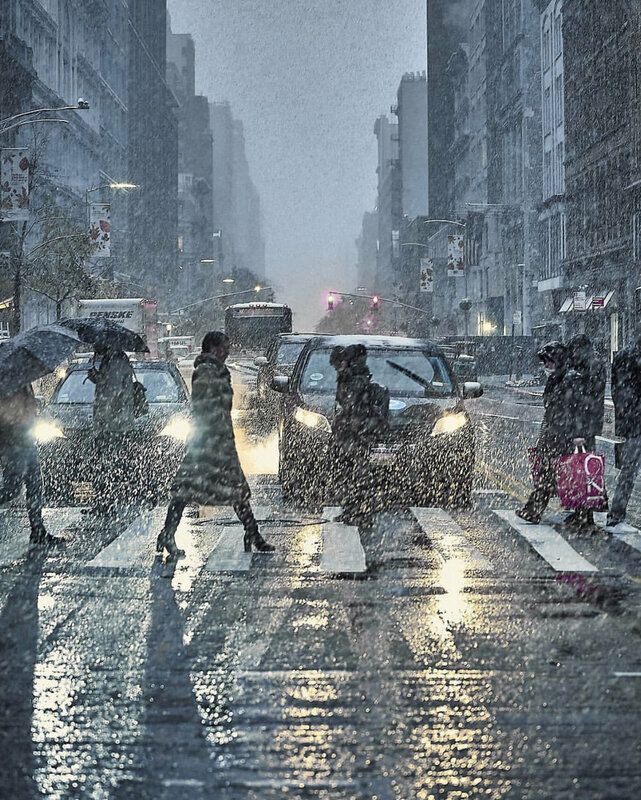 Subscribe to our newsletter for District Alerts on storms and blizzards, where you'll receive updates on closures for Greenmarket, Citi Bike, the MTA and more.